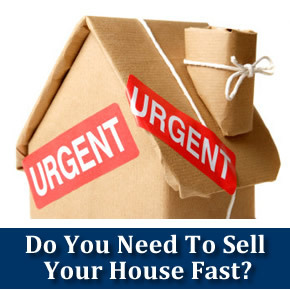 Need to sell your house quickly? We buy houses in any condition, any price range! We are professional house buyers and we can buy your house now for cash, fast! Depending on your needs as a seller and the condition of your property, we can make you an offer in as little as 24 hours and pay all cash. We Buy All Kinds of Residential Real Estate Including Houses, Townhomes, Condos, Multifamilies, Rental Communities and Commercial Property. Selling your property through real estate agents can be very frustrating, costly, and detrimental when you need fast cash as time and costs continue to accumulate. Other house buyers will try to negotiate the lowest price possible for your house when they realize you’re in a desperate situation. Unlike other house buyers, we are not “sharks” trying to make the most money off your problems, we genuinely want to help you. If you need to sell your house and time is against you, call us today for help, 205-841-9757! We provide a quick solution – As mentioned earlier, we buy all types of houses, all over the Birmingham, AL area. Whether it’s a single-family house, duplex, flat, or condo, we have the money and desire to buy it AS-IS. We’ll buy your house for cash and we’ll close quickly. We provide fair all-cash offers – We are cash buyers, and we can give you good offers to relieve you of debts or responsibility of your house. We provide clear terms – We always make our intentions clear to sellers when buying properties. Our goal is to work out a deal that works for both of us. We handle all the paperwork – we will make all the necessary arrangements and handle all the paperwork. We try to make the process quick, simple and hassle-free. We Have No Fees or Hidden Charges – There are no charges or fees such as valuation fees, transaction fee, or paperwork fee. We can buy your house even if it needs a lot of repairs – Don’t worry about the condition of your house. We can give you cash for your house, regardless of its condition. We can help you even if you have no equity or negative equity – We can buy your house quickly at no cost to you, even if you have little equity, zero equity or negative equity. We have experience in buying houses – We have been in this business for more than 20 years. We’ve been able to buy houses in every market. Unlike rookie house buyers, we know what works. Whatever your situation, we’ll understand, as we’ve seen it all. We’re also experienced in dealing with lenders and lawyers. We treat you with respect and compassion – we understand what you’re going through. We’ll work with you to solve your problems with respect, empathy and compassion. So what are you waiting for? Fill out the form below or contact us at 205-841-9757 and get rid of that house that is making your life impossible.